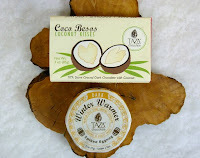 Today was Day #7 of Chocolate and Coconut Theme Week. 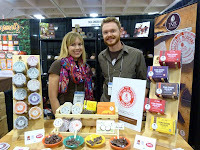 I was fortunate to find two limited edition, seasonal items from Taza Chocolate (Somerville, MA) today in the Taza booth, at the Fancy Foods Show in San Francisco, CA. 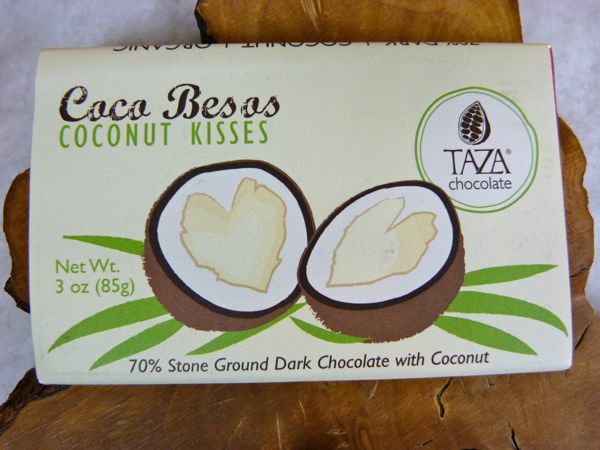 The first item was a Coco Besos (translated from Spanish: Coconut Kisses) bar made for Valentines Day. 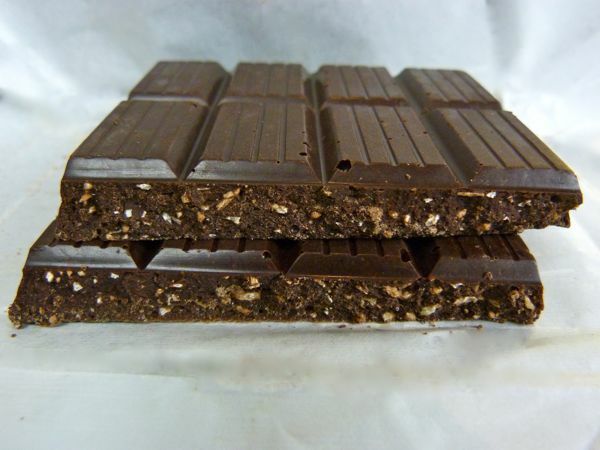 This organic, 70% stone ground dark bar was studded with tiny bits of organic coconut, and flavored with organic vanilla beans. Taza is known for their stone ground and organic chocolates. The more rustic texture of stone ground chocolate (larger particle size) can help retain some flavor characteristics and "sparkle" that a heavily conched, very smooth chocolate (with smaller particle size) may no longer possess. Stone ground chocolate also offers a more substantial texture when melted and used to make a drinking chocolate. 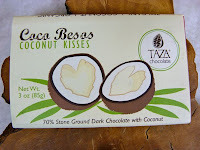 The coconut in this bar was a plus, and well balanced with the chocolate in terms of taste and texture. The second Taza item was a winter holiday item -- a Spiked Eggnog flavored, stone ground chocolate disc (partitioned into wedges) with the taste of freshly grated nutmeg -- that I found very good. I look forward to featuring this item in the near future. Thank you to Taza for the information and tasting samples.